Where the children get lots of sweets to eat? 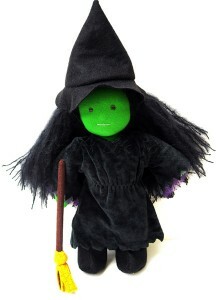 So let’s scratch that creative itch. 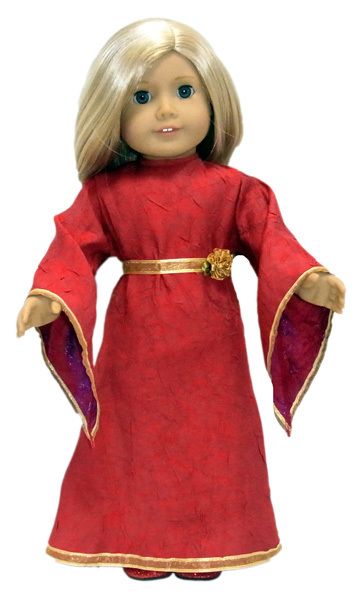 Here are some terrific variations of my popular Witch doll clothes pattern costume, with Karen even transforming her Witch into a Wizard with the wave of her wand over the sewing machine! 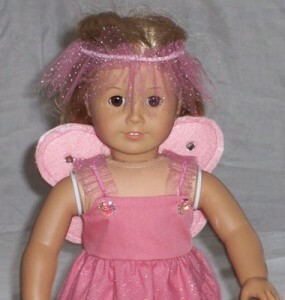 Next we have some pretty Fairies all ready to sprinkle lots of ‘Fairy Dust’ on anyone not having fun at Halloween. 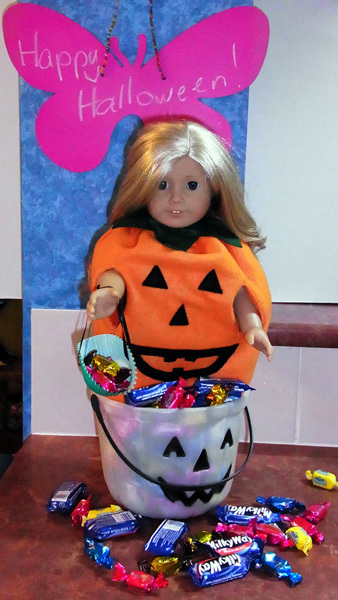 Oh My Goodness, is that a Jack o’ Lantern hiding inside a Jack o’ Lantern full of sweet treats? 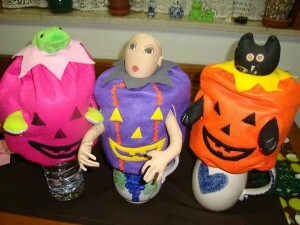 And oh how creepy those pumpkins below are looking! 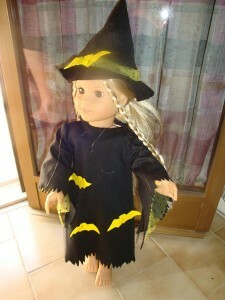 Lots of fun can be had with my Pumpkin costume doll clothes patterns. 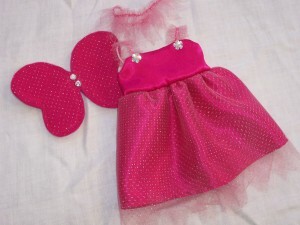 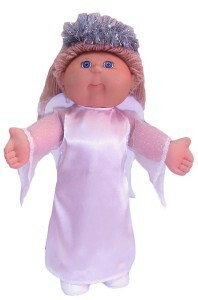 Now let’s take the Angle costume doll clothes patterns that we used last year and turn it into a Maid Marion costume. 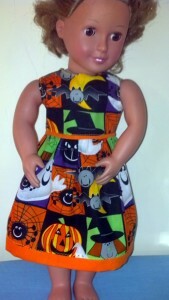 And for those who want a more practical Halloween outfit for your doll, why not pick up some cool Halloween fabric from your favorite fabric store and make a Halloween dress using my summer dress doll clothes patterns. 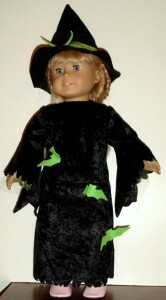 Well, I hope this has inspired you all to get creative this Halloween and remember to send in photos of your creepy (or not so creepy) creations so that everyone can enjoy your sewing. 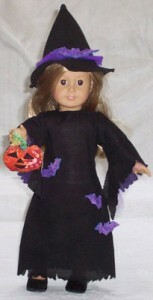 And don’t forget that if you can’t decide which Halloween doll clothes pattern to purchase, you can always buy the Halloween Doll Clothes Pattern Bundle and save 10%! 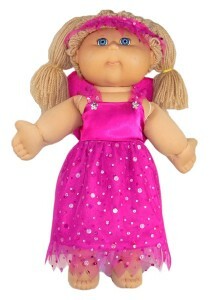 These bundles are available for both the 18 inch doll clothes patterns and the 18 ½ inch Cabbage Patch doll clothes patterns.